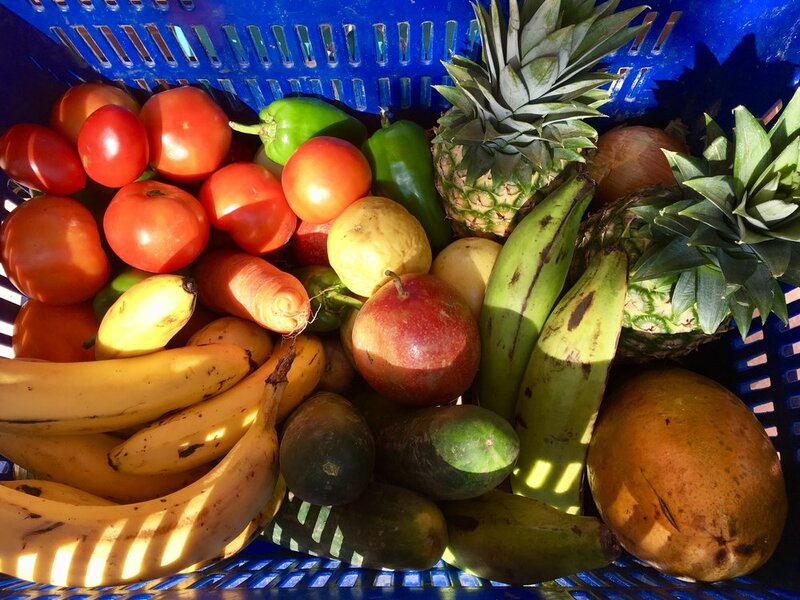 In Panama and specifically the Veraguas and Santa Catalina area we are blessed to have access to a wide variety of fresh fruit and vegetables, and live within an in-tact Oceanic ecosystem providing plenty of fish and seafood. In Santa Catalina we are fortunate to have a number of great restaurants of both local origin and international in nature that provide nourishment and culinary flare. At Fluid we are mindful of how and where we source our food. We prefer lots of freshies, wholesome local fare and locally produced/baked when possible. We don’t promote fishing for sport (we prefer to snorkel, swim, paddle with and witness the sea bio diversity) but do find supporting our local fishermen for consumption important. In this manner we are connecting with the livelihoods of our friends who fish sustainably and thus contributing to the quality of life Santa Catalina. We do provide our trips with fresh seafood, we just prefer to do it mindfully and responsibly. We are fortunate to get our water from Coiba’s natural springs! Our guides have and are used to providing amazing meals for a full range of dietary needs. Dinner: Tri coloured fusili, pesto, fresh octopus or chicken, greek salad with chocolate cake.